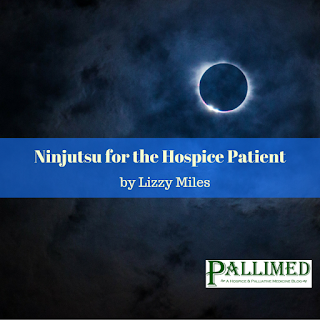 If you had told me there was a parallel between the study of ninjutsu and hospice a year ago, I wouldn’t have believed you. 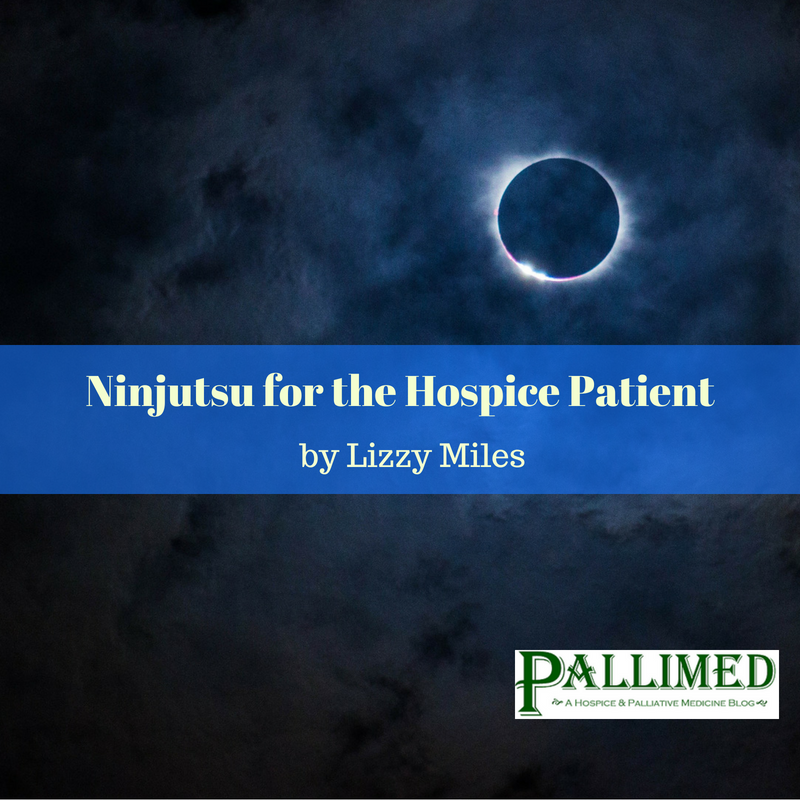 But I have now realized that there is much to be learned from the ninja philosophy that can be applied to hospice. It was a patient who helped me make the connection. The chaplain and I were doing our initial assessment with a cancer patient who was younger than both of us. I will call the patient “John.” I started the visit like I usually do, by asking the dignity question. I looked over at the chaplain, intrigued. I could tell he was intrigued too. I suppose my feelings of surprise were because his manner and presence were so much calmer than patients usually are when they’ve been referred to hospice with a short prognosis. I looked over at the chaplain again and we locked eyes. Craig, our chaplain, has a PhD in Philosophy. I could tell that he was also curious and impressed with John’s demeanor. John told us that he had studied ninjutsu. Though I only met John that one time, his strong presence at that visit affected me. I was so curious about ninjutsu because I really knew nothing about it except what I had seen in movies and television, which couldn’t be more misleading. I searched online, and found an article that introduced me to the spiritual component of ninjutsu training. I then checked out several books from the library and dug in. According to Dr. Masaaki Hatsumi, the last surviving grandmaster of the ancient art on ninjutsu, there are multiple theories of the evolution and origin of ninjutsu. Going back almost 1,000 years there was a time in Japan where feudal lords ruled through terror. Ninjutsu was created as a martial art focused on self defense against oppressors. Along with the physical training, there was a focus development of mental fortitude (Hatsumi, 1988 p. 19-21). What was of greatest interest to me in the books was the details of mental training that went along with the physical training in ninjutsu. Much of what we see in hospice goes beyond the physical as well, and I saw many parallels. Ninja philosophy: “The objectives of the ninjas are: first, to use ninjutsu to infiltrate the enemy’s camp and observe the situation.” (Hatsumi, 1988 p. 111). How it applies to hospice: Everyone involved in a hospice situation, including the patient, their loved ones, and the staff, are observing everyone else. * The patient often can be stuck in a role of observation whether they chose to or not because they may be too tired to interact, or the family will talk in front of them to staff. * The family is often on high alert, watching the patient for symptoms or watching the staff and timing our responses. * The staff members are observing the patient for signs of pain or distress and watching family for signs of psychosocial distress. Interventions: Be deliberate on the task of observation. Imagine taking the bird's eye view. Sometimes we can be so focused on what we need to do or say that we forget to check in. Make a mental note for yourself to observe before you speak or act. How it applies to hospice: This is already my favorite insight with hospice. The longer I’ve been doing hospice, the more I keep learning what I don’t know. I’ve written about assumptions that we have about dying, how the dying may not want to be in control, and the emotions the dying might be feeling. Still, I keep discovering more and more variations in the way that people die – both in timing and symptoms. Interventions: Be mindful of any time you find yourself feeling certain about a patient’s condition or what will happen. Reflect on the times you have been wrong about what you thought you knew. Ninja philosophy: “First, forget your sadness, anger, grudges, and hatred. Let them pass like smoke caught in a breeze” (Hatsumi, 1988 p. 123). How it applies to hospice: It is not uncommon for patients to go through a life review process in which they may have feelings of anger, guilt, or shame. Sometimes they take out their emotions out on us. Friends and family too may have memories of past hurts that come up during this time. Hospice staff are sometimes put in the position where we have to wear a mask to hide whatever might be happening to us outside of work. 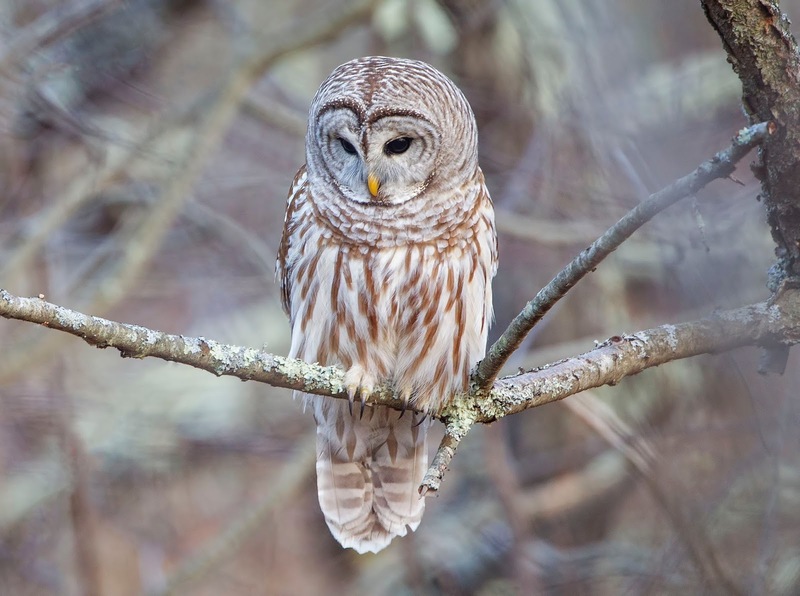 Interventions: Work on your awareness of when your feathers are getting ruffled by a patient. Recognize that their attitude towards you may reflect on their own internal state of mind rather than a defect of your own. Be mindful of your reactions to stressful situations. Ninja philosophy: “We say in Japanese that a presentiment is ‘a message conveyed by an insect.’ For example, when someone is dying, his family or close friends he really loved, can feel something is happening. We say than an insect has conveyed a message to them. It makes us believe that one can communicate through the subconscious” (Hatsumi, 1988 p. 72). 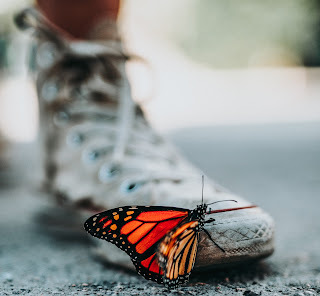 How it applies to hospice: If you have been working in hospice long enough, you have to acknowledge there are unusual coincidences, synchronicities, signs, and moments of instinct. There are stories where patients have predicted the timing of their own death, stories about someone dying just when a loved one arrived or left, and stories about spirit presences in the room. Interventions: Be open to the idea that there are forces beyond what we understand. Remember that patients and families may have belief systems different from our own. Ninja philosophy: “The first important aspect of ninjutsu is to maintain calmness in the body, and endurance in the heart” (Hatsumi, 2014 p.169). How it applies to hospice: The connection with this one to hospice seems obvious to me. How many patients do we have with anxiety? From my experience, this feels like one of the most common symptoms across diagnoses, and understandably so. The mind/body connection is most apparent with COPD patients who are short of breath and then feel anxiety about being short of breath and then become even more breathless. We know that they are creating their own cycle, but sometimes we have difficulty helping them find their calm. Interventions: Start the conversation with patients about anxiety at a time when they are not anxious. Ask them how they calm themselves when they are feeling anxious. If they don’t know how to answer that question, then encourage them to think on it for a while. I sometimes joke with patients that I am giving them “homework.” This goes for staff too. Do you know what brings you calm? How can we be educators if we don’t practice what we preach? Ninja philosophy: “Nothing is so uncertain as one’s own common sense or knowledge. Regardless of one’s fragile knowledge one must singlemindedly devote oneself to training, especially in times of doubt. It is of utmost importance to immerse and enjoy oneself in the world of nothingness” (Hatsumi, 1988 p. 65-66). How it applies to hospice: Patients and families do not get to a point of acceptance of death overnight. For patients and families to reach acceptance they need to sit with the uncomfortable feelings. Slowly, they get used to the idea that this is really happening. When patients start sleeping for longer periods of time, both the patient and the family are learning to separate from one another. Interventions: Be patient with the time it takes for our patients and families to come to acceptance. Realize that for some of them, the introduction of hospice may have been the first time they truly contemplated mortality. They haven’t trained for it like we have. Those who work in hospice and see death and dying on a regular basis can forget what it feels like to be in this situation. Ninja philosophy: “Ultimately the responsibility for your training is your own” (Hoban, 1988, p. 172). How it applies to hospice: Remember not to project your own ‘right way to die’ onto a patient. Consider this: some people actually do want to die in a hospital setting! Some patients do want a room full of people there with them. Some people want the television on to Fox news. Interventions: Ask the patient about their preferences, rather than assuming you know what they want because it’s what you would want. Self-reflect on suggestions you make to patients and families to ensure you're not projecting your own belief system. Hoban, J. (1988). Ninpo: Living and thinking as a warrior. Chicago: Contemporary Books. Hatsumi, M. (1988). Essence of ninjutsu: The nine traditions. Chicago: Contemporary Books. Hatsumi, M. (2014). The complete ninja: The secret world revealed. New York, NY: Kodansha USA. 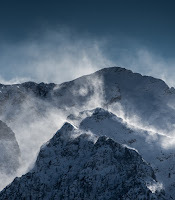 Photos via Unsplash. Some photos have been cropped. “We can focus on your comfort always means we’re giving up.” I can’t count how many times I’ve heard this sentiment from both patients and other healthcare providers, and to read it both frustrated and encouraged me at the same time. It’s frustrating because to know that what I do, as a palliative care physician, to help patients and their families during some of their darkest, scariest, heartbreaking and most painful moments, is seen as 'giving up' when it couldn’t be any more different. Yet, I also find it encouraging because it reminds me that there is much work left to be done on educating everyone on the importance of Hospice and Palliative Medicine (HPM). 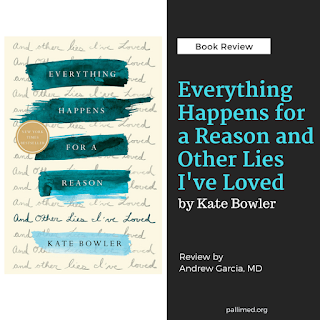 “Everything Happens For A Reason and Other Lies I’ve Loved” is Duke Divinity history professor Kate Bowler’s personal perspective on how being diagnosed with cancer disrupted her "seemingly perfect life" and forced her to question what matters most when it comes down to the very real fact that she is dying. Her perspective is real and authentic, and at times unapologetic in its portrayal of her interactions with family, friends, and the medical community. For example, she writes, “She moves through the pleasantries with enough warmth to suggest that, at least on social occasions, she considers herself to be a nice person” describing an interaction during a post-op appointment with a PA. Stories of this nature are always a good reminder that what we do and how we are around patients has a larger impact on them than, we are able to anticipate, or even be aware of. I find it’s always important to listen to a person’s story, especially when it comes to anything they consider “life-changing,” regardless if that is something we would also agree as being “life-changing.” Perspectives matter, and in healthcare, at times, we can get so caught up with our own perspectives we fail to realize other’s. 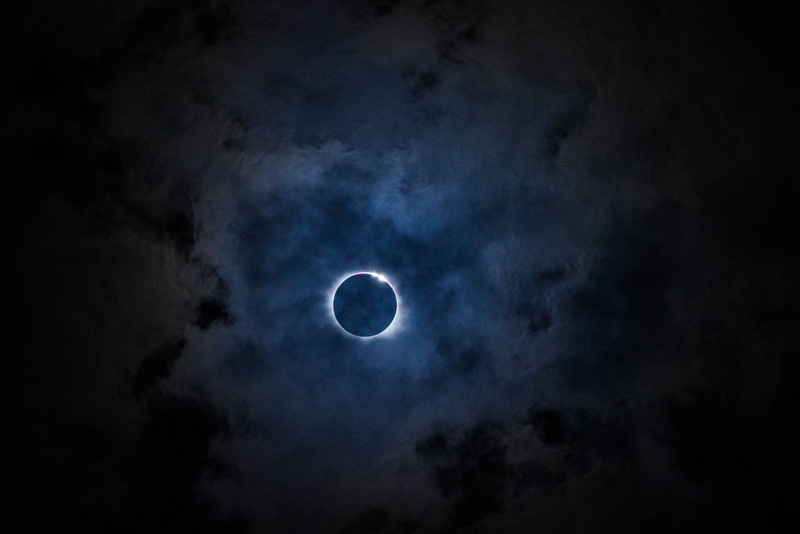 This is something which doesn’t just affect healthcare providers and Kate is very aware of this as well when writing, “I keep having the same unkind thought – I am preparing for death and everyone else is on Instagram. I know that’s not fair – that life is hard for everyone – but I sometimes feel like I’m the only in the world who is dying”. In a sense she is right, our world is what we see and create with our own eyes and experiences, and Kate is the person “dying” in her world, so to see people who aren’t central to her story living as if nothing is wrong, well I can’t imagine just how frustrating that would be. As an HPM clinician, empathy is central to what we do. We connect with patients on a different level than many other providers. We seek out - or better yet - we crave that personal connection with patients so we can know and understand what is important to them, who is important to them, and why. We can’t just know the who and what, we need the why, and Kate does an amazing job at sharing enough of her personal life story to allow us to understand why certain decisions in her care are made and also why she views certain interventions, or lack of, as “giving up”. It reminds us that people are a sum of their experiences, and the decisions they make when “push comes to shove” are largely based on those experiences. I was a bit disappointed after finishing the book, since I assumed the book, given the title, would focus on what healthcare providers, and people in general, should avoid saying to patients dealing with any terminal illness. To my dismay, this was not the case. Sure there are interactions in the book that allow you to see just how “annoying” certain phrases can be, but the majority of the “pearls of wisdom” are left to an appendix at the end of the book. Like, why we should never say “Well, at least…” to any person (or patient) ever. At the end of the day, if you are a person who is interested in reading the very personal journey of a person facing a very serious and life-changing cancer diagnosis, in an entertaining, heartbreaking yet reassuring and authentic manner, it is well worth the read. We have a 'required reading' list for our fellowship, which includes a bunch of what I think are landmark or otherwise really important studies. One of them is this very well done RCT of continuous ketamine infusions for patients with cancer pain, which showed it to be ineffective (and toxic). We also recently have seen another high-quality study published with negative results for ketamine. This was a Scottish, multi-center, randomized, placebo-controlled, intention-to-treat, and double-blinded study of oral ketamine for neuropathic pain in cancer patients. The study involved 214 patients, 75% of whom were through cancer treatments and had chemotherapy-induced peripheral neuropathy (CIPN), and the median opioid dose was 0 mg. They received an oral ketamine (or placebo), starting at 40 mg a day, with a titration protocol, and were followed for 16 days. There were exactly zero measurable differences in outcomes between the groups (on pain, mood, or adverse effects). Zip. All this got me thinking about a conversation I had with a palliative fellow this year, who, upon reading the continuous infusion study, confronted me with the question - Why do you even still use ketamine, then? The answer to this has a lot to do with the nature of evidence and how that is different for symptom management than it is for other outcomes, as well as the challenging reality of the placebo effect in everything we do. I should note that you can 'dismiss' these studies based on generalizability (and plenty of people do), i.e., "The infusion study was well-done, but it's a protocol that I don't use, therefore I can ignore it." This very detailed letter to the editor about the infusion study does just that, for instance. Or, that the oral ketamine study was really a study about CIPN, and virtually nothing has been shown to be effective for CIPN, except maybe duloxetine (barely), and so it's not generalizable beyond that, and can be summarily ignored. All this is valid, to be sure -- it's always important to not extrapolate research findings inappropriately, but honestly the reason I still prescribe ketamine sometimes has little to do with this, and has everything to do with the fact that I have observed ketamine to work and believe it works despite the evidence. Which is a pretty uncomfortable thing to admit, what with my beliefs in science, data, and evidence-based medicine. The challenge here is that when it comes to symptom treatments us clinicians are constantly faced with immediate and specific data from our patients as to whether our treatments are working. This is a very different situation than a lot of other clinical scenarios for which we lean heavily on research statistics to guide us. Note that it's not a bad thing we're confronted with this data (! ), it just makes it difficult to interpret research sometimes. Let's start with research which involves outcomes which are not immediate. E.g., does statin X, when given to patients for secondary prevention of myocardial infarction, actually reduce the number of myocardial infarctions (MI) or prolong survival? We can only answer that question with research data because when I give statin X to an actual patient, I have zero way of knowing if it is 'working.' If they don't ever have another MI I'll feel good, but that may take years and decades to even find out. In fact, it's nearly incoherent to even talk about that outcome for my patient, because we think about those sorts of outcomes as population outcomes because that's how they are studied. E.g, we know that if we give statin X or placebo to a population of patients (who meet certain criteria) for Y number of years, that the statin X group will have some fewer number of MIs in it than the placebo group. That's what we know. And because some patients in the placebo group don't have MIs and some in the statin X group do have MIs, we actually cannot even conclude for our own patient whether statin X helped them, even if they never have another MI, because maybe they wouldn't have had an MI anyway. That is, it's a population-based treatment, with outcomes that only make sense on the population level, even though of course we and our patients very much hope that they individually are helped by the drug. Supposedly precision/personalized medicine is going to revolutionize all this, and maybe it will, but it hasn't yet. Contrast this to symptom management. My patient is on chemotherapy and they are constantly nauseated. I prescribe a new antiemetic -- let's call it Vitamin O just for fun. Two days later I call them up, and they tell me: "Thanks doc, I feel a lot better, no more vomiting and I'm not having any side effects from the med." Or they tell me: "Doc, the Vitamin O just made me sleep all day and it didn't help the nausea one bit." I have immediate, actionable, patient-specific, and patient-centered data at my fingertips to help me judge if the treatment is effective/tolerable/worth it. It feels very different than prescribing statin X, in which all I have is the population data to go by. So then why do symptom research at all if all we have to do is just ask our patients? Obviously, it's not that simple, and research is critically important. For one, placebo-effects are hugely important for symptom research, in fact, they dominate symptom research. Blinded and controlled studies are critical in helping us understand if interventions are helpful above and beyond placebo effects (we should all be skeptical/agnostic about any symptom intervention which is not studied in a blinded and adequately controlled manner). Research also helps us get a general idea of the magnitude of clinical effects of certain interventions. Comparative research (of which there's very little, but it's really important) helps guide us towards which interventions are most likely to be the most helpful to our patients. E.g., which antiemetic is most likely to help the largest number of my patients going through a certain situation (so as to avoid painful delays as we try out ineffective therapies)? Research also obviously helps us understand side effects, toxicities -- hugely important. But...if I thought all of the above were sufficient, I'd still never prescribe ketamine, or for that matter methylphenidate, because the placebo-controlled, blinded studies don't actually indicate they are effective over placebo (let's be honest palliative people, when we actually read the high-quality methylphenidate studies, there's very little there to suggest we should ever prescribe it). That leaves me though with this belief, based on patient observation, that it still works, damn the data. What do I make of that? I want to be clear, I don't prescribe ketamine a lot, just the opposite, but there are times when you are desperate, you are faced with a patient in an intractable, painful situation, and you're running out of moves to make to improve the patient's life, and the reality is I sometimes will prescribe ketamine then, and my observation is that it's sometimes hugely helpful, enough so that I keep on using it. And I honestly don't know what this represents - is it that complex phenomenon called the placebo-effect that decides to show up every now and then (although for these patients you wonder why the placebo-effect didn't show up on the 5 prior treatments you threw at them)? Is it that I'm 'just' making them euphoric and I'm not actually helping their pain (although honestly, I think it's impossible to draw a hard line between the two)? Or is it the fact that for presumably complex genetic neurobiological reasons, while ketamine is ineffective toxic for the majority of patients out there, it is also really effective/well-tolerated for a minority of our patients, and that's the sort of thing that it's tough to parse out in trials, because the small number of responders is overwhelmed by the strong majority of non-responders. But, to emphasize my point, if it is the latter (some drugs like ketamine and methlyphenidate do actually really help a minority of patients but are toxic to most and so it's tough to appreciate the impact based on clinical trial research), that emphasizes the critical observation about why high-quality clinical research is important - it helps us know which interventions we should be doing routinely and early, and which should be at the bottom of the bag, to be used rarely, and with great consideration. But, given that this is true confessions day, I still don't think methylphenidate is something to be rarely used. In fact, it's one of the few things I do in which I routinely have patients/families enthusiastically tell me thank you that made a huge difference. (If you're curious those things are 1) talking with them empathetically and clearly about what's going on and what to expect with their serious illness, 2) starting or adjusting opioids for out of control pain, 3) olanzapine for nausea, and 4) methylphenidate.) Like, all the time. Like, they come back to see me in a couple weeks with a big smile on their face, so glad I started the methlyphenidate. Happens a lot (not all the time, but enough of the time). A lot more than with gabapentin or duloxetine or many other things I also prescribe all the time which have 'good evidence' behind them. It happens enough that I've asked myself What data would convince me to stop prescribing it to my patients? And I don't have an answer for that, apart from data suggesting serious harm/toxicity (which none of the RCTs have shown). I'm very curious as to people's thoughts about all this and look forward to hearing from you in the comments! Drew Rosielle, MD is a palliative care physician at the University of Minnesota Health in Minnesota. He founded Pallimed in 2005. You can occasionally find him on Twitter at @drosielle. For more Pallimed posts by Drew click here.